Create extension field , put it to a given embedded component and finally make it visible in standard UI. The check logic for over due is simply based on the comparison between current system date and closed date maintained in opportunity header. 2. 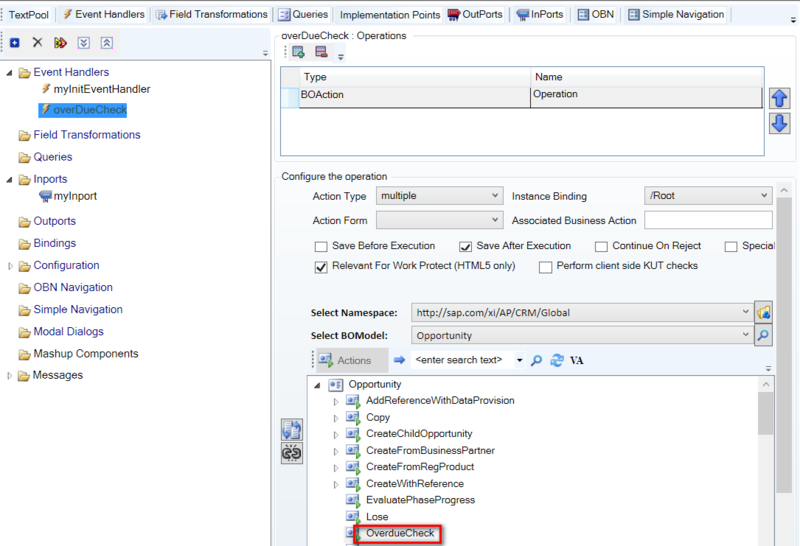 Create a new embedded component OppEC, create two data field and bind them to standard BO field ID and extension field IsOverDue. Create a checkbox UI element in the embedded component and bind it to ID field. Create a button in order to execute OverdueCheck action. Switch to embedded component’s controller tab, create an unbound data field OpportunityID, and use it as BOOperation Read’s parameter. This unbound data filled will be filled with values passed from inport to be created soon. 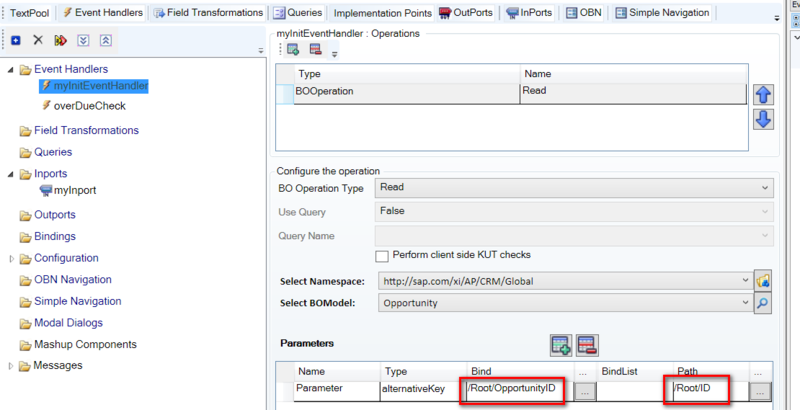 Create an inport and declare the parameter bound to OpportunityID. Assign the created event handler to OnFire attribute of this inport. Create another event handler overDueCheck and bind the BO action OverdueCheck whose implementation is done by our ABSL code. Very useful and ingenious post. Thank you very much.